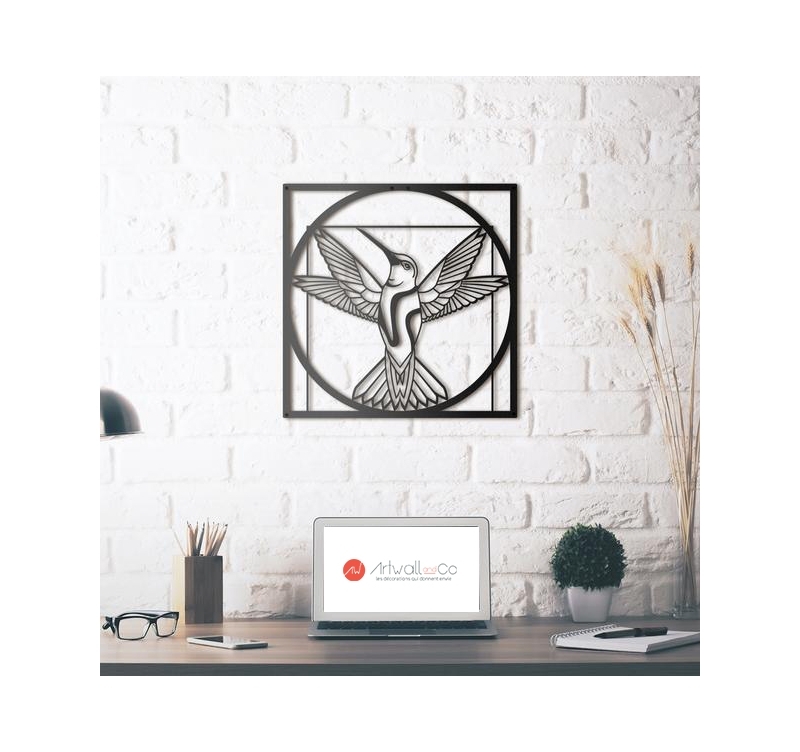 Metal wall decoration of the work of Leonardo da Vinci in a bird. 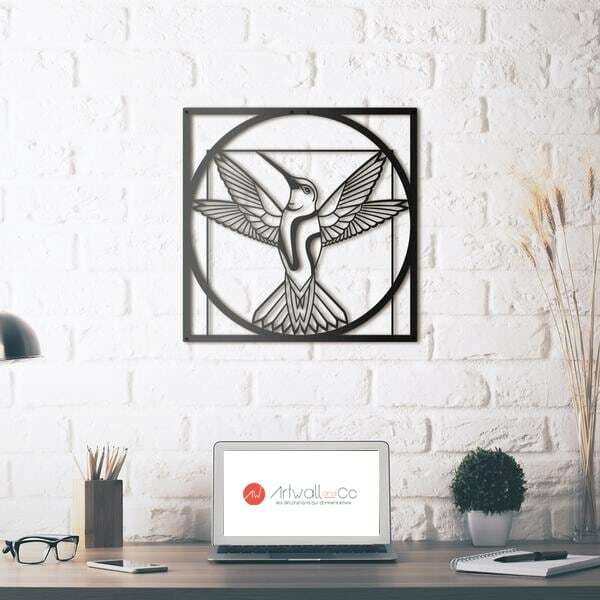 This bird in metal decoration allows you to create a contemporary decor. The dimensions of this metal sculpture are 49 x 49 cm. The delivery is completely free in Metropolitan France and Belgium for this bird in metal decoration. This metal wall decoration offers you the perfect proportions of a bird according to Leonardo da Vinci ! In a metal frame, this natural wall decoration plays on the originality with this adaptation of the famous Vitruvian man. It features a hummingbird, well known for its agility and speed, with several wings following the perfect circle placed in the center of the design metal decoration. The installation of this metal wall sculpture is simplified with a installation system that will only take a few minutes. All our designer metal wall decorations are hand-made, treated and finished in black for a longer life.